Fenty Beauty Killawatt Freestyle Highlighter (Mean Money/Hu$tla Baby) - Another Overrated Highlighter ? 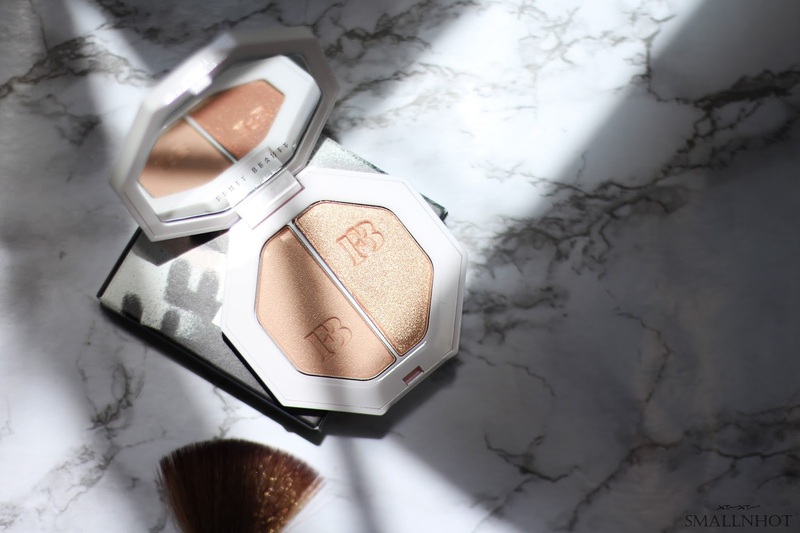 Fenty Beauty Killawatt Freestyle Highlighter is a weightless, longwear cream-powder hybrid highlighters that range from subtle dayglow to insanely supercharged in solos and expertly paired duos. You'll LIKE it if you are into the strong prominent highlight kind of makeup. You'll HATE it for the supercharged-very-obvious shimmery effect on your face, not the everyday makeup look kinda thing. Everyone was mad for the launch of Fenty Beauty and now they have launched their Christmas Holiday 2017 Collection, and it turned out to be not so much of a thing. Don't get me wrong, the color selections are amazing and pigmented but you can't have that crazy colorful makeup everyday, so I guess it explains why the 'meh' situation. But anyway, let's talk about the Fenty Beauty Killawatt Freestyle Highlighter. Packaging-wise, they killed it. Love the slight holographic white packaging. It's very sturdy and doesn't feel cheap at all. The Killawatt Freestyle Highlighter comes with 2 different shades of highlight. The texture glides on easily and it a light cream that a little goes a long way with. You can just do a light swipe on your cheeks, but still the effects would be extremely shimmery, especially on medium to deep skin tones. If you so happen to overdo the highlight, you probably will end up with a big patch of shimmer like "check out my highlighter from space" kind of makeup. So you have to be very light-handed with this. Also although it's a light cream texture but you can't apply it with your fingers and pat it on because it looks very uneven, plus it takes quite a while to blend it out. One thing I do like about the highlighter is the fact that it gives a nice finish from all angles, just tilt your head from left to right and you'll get a different feel to it. 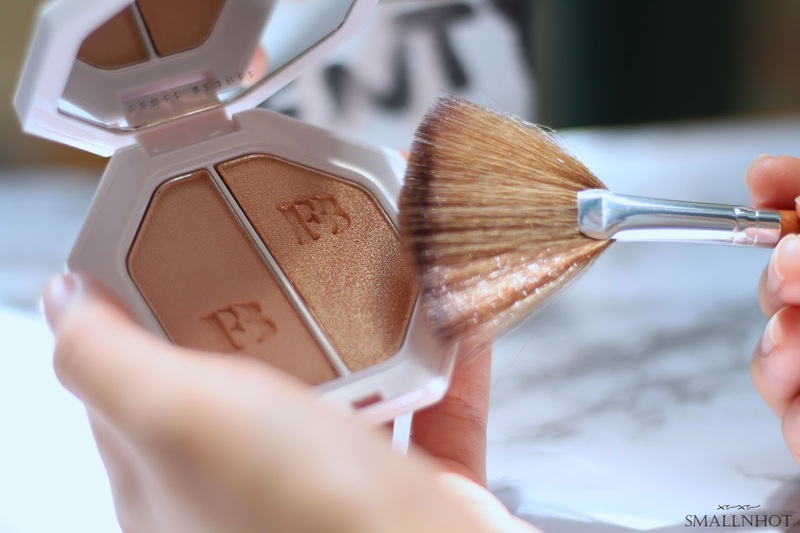 Personally I do fancy a strong highlighter occasionally but for day to day makeup, the Fenty Beauty Killawatt Freestyle Highlighter just doesn't fit the box. So if you are a highlighter lover and want to try something really out there, then here's where you need to head. But if you are the no-makeup makeup kind of gal, then STAY AWAY !